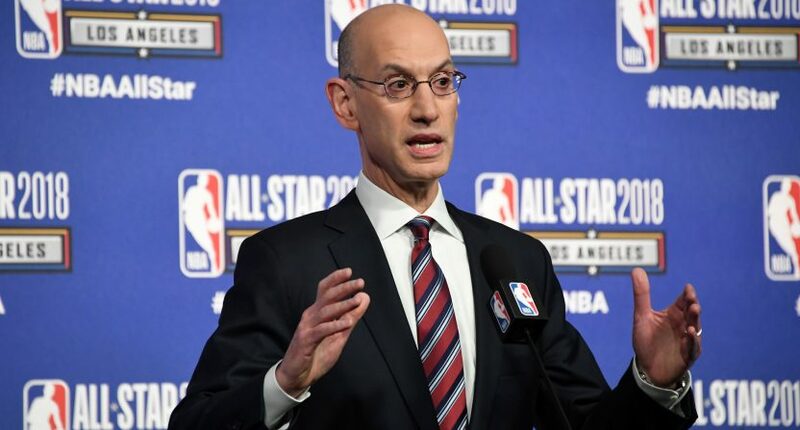 NBA commissioner Adam Silver: "Do not stick to sports"
Silver offered a blunt message at Wednesday night's Sports Business Awards. Accepting the League of the Year honor at Wednesday night’s Sports Business Awards, NBA commissioner Adam Silver offered a clear message to the industry figures in attendance: Don’t stick to sports. It’s not exactly shocking that Silver believes in using sports to talk about broader issues, given his track record as commissioner. The NBA has embraced social justice more than most of its competitors, with anti-gun violence ads and LGBTQ pride floats and a greater tolerance for player expression than, say, the NFL. Still, it’s somewhat remarkable to see a league commissioner use the phrase “stick to sports,” given how loaded those words have become. The fact that Silver is willing use them so bluntly shows how different today’s sports landscape is from that of 10 or 20 years ago, when politics were almost entirely verboten, as well as how resolutely the commissioner believes in the power sports hold over society.